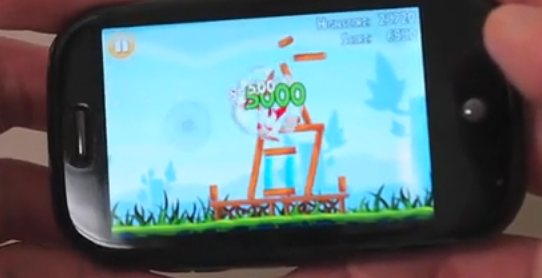 First Look: Angry Birds on webOS [Video] Update: Available Now! The final build for Angry Birds on webOS is finished and submitted to Palm (the Pixi version will come a bit later). We have it here at PreCentral HQ and it's everything you imagined: launching little birds from a slingshot into pig-laden structures. You'll need webOS 1.4.5 to run it (which hopefully will be available on more than just Sprint devices soon), but in the meantime we can say it runs just as well on the Palm Pre as it does on the iPhone 4. Better, even, in that if you get stuck you can go check YouTube for some help without having quit out of the game - webOS multitasking at its productive best. After the break, check out a video of the game in action. After a a short time (we hope), you'll be able to buy it yourself. Update: Angry Birds for webOS is now available - go get it!